People with crusty eyes sometimes describe it as being like having your eyes glued shut in the morning. There is typically a build-up on the eye lid that is a yellowish, sticky, crusty substance. This crusty eye lid condition can be temporary. When it is persistent, you have a chronic condition that requires medical intervention. 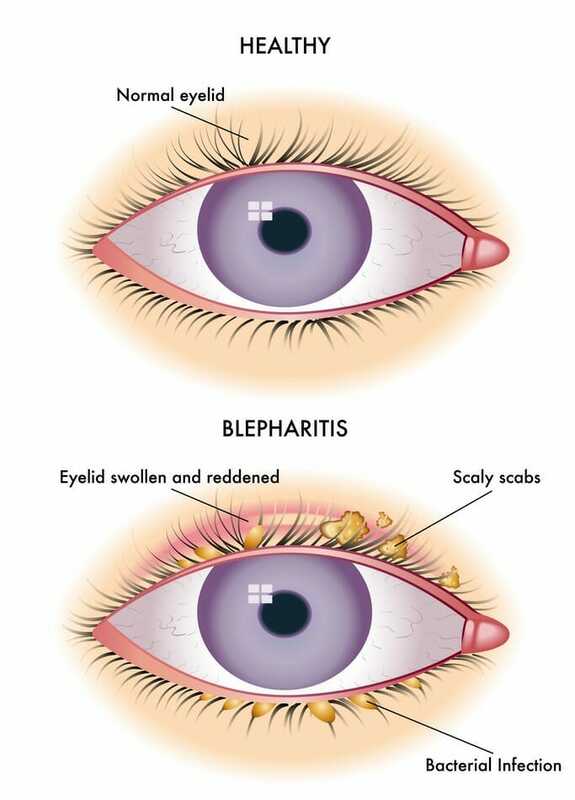 Causes of crusty eyes include conjunctivitis (pink eyes), bacterial or viral infections, ocular herpes, allergies, stye – also called a hordeolum or chronic dry eye conditions – including blepharitis and meibomian gland dysfunction. Photophobia (sensitivity to light) – a typical dry eye syndrome. Use a warm washcloth to soften the crust, if your eyelids feel like they are glued shut. This will allow you to open your eyes. Stop using eye makeup, especially if you have chronic blepharitis. If you wear contact lenses, replace the cleaning and storage solutions daily. In severe cases, stop using contact lenses until you recover. Start a TheraLife® regimen today. The eyelid cleanser will remove excess oil and prevent bacteria and mites from attaching to your crusty eyelids. 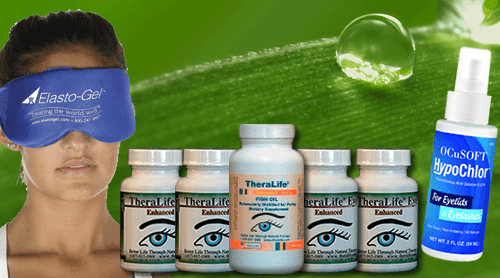 TheraLife® Eye Enhanced capsules will restore your tear secretion glands’ ability to produce normal tears for dry eye relief. START TODAY! If you are visiting this page because you have crusty eyes, you may have Blepharitis or Meibomian Gland Dysfunction – some of the most difficult dry eye conditions to treat. 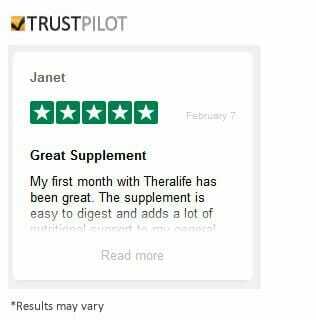 TheraLife® Eye is doctor recommended and clinically proven to work for 80% of first time users. You may have already tried eye drops, antibiotics, and steroids to no avail. TheraLife® Eye is different—it restores the tear secretion glands intra-cellularly resulting in balanced, sustainable tears all day long. TheraLife® Eye provides relief for crusty eyes by reducing inflammation and restoring normal tear functions, intra-cellularly. TheraLife® Eye used in conjunction with the recommended daily routine of eyelid cleaning and hot compress, can help get your life back on track! If you’ve never tried TheraLife® Eye, we recommend our All-in-One Starter Kit that includes everything you need to get relief for your crusty eyes. TheraLife® especially recommends this starter kit to Blepharitis/MGD dry eye sufferers because it includes all of the elements that are essential for getting lasting relief for crusty eyes, collected for you into one conveniently packaged solution.